The distribution of Rhipicephalus Appendiculatus on Setaria sphacelata flowerheads was investigated. Adult tick counts in a paddock, heavily infested with ticks for experimental purposes, revealed an aggregated distribution by deviating significantly from the expected Poisson distribution, but producing a good fit to the expected negative binomial distribution. A higher proportion of the ticks were on old dry flowerheads than on young green ones. Tests carried out in the laboratory confirmed the marked preference for old flowerheads and the aggregated pattern of distribution. 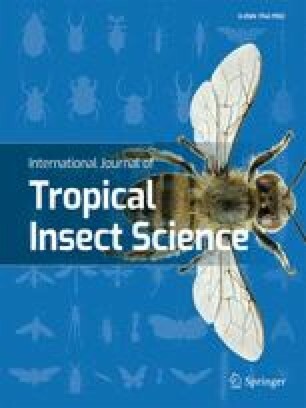 The tick counts in the field revealed no sexual aggregation, though the total number of females collected was significantly higher than that of the males.